Wandering Heroes of Ogre Gate (WHOG) draws on a number of sources for inspiration. 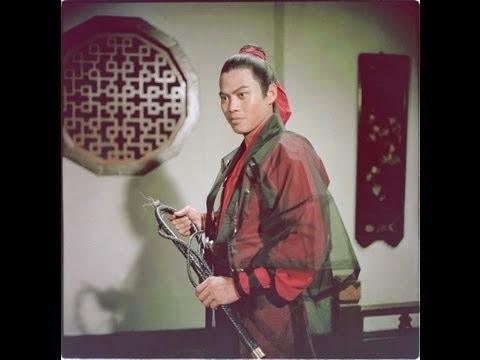 I watch a lot of wuxia movies and TV shows, and these have had a big influence not only on Ogre Gate, but on Sertorius and many of my d20 campaigns. I am hoping to share some of my favorite movies and shows in the genre here as we work on WHOG. 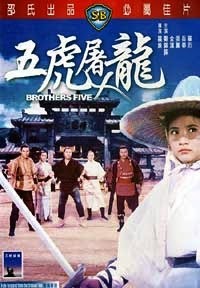 Today it's Brothers Five, one of several movies starring Cheng Pei-pei that I will review in the coming months. For those not familiar with her work, Cheng Pei-pei is most recognizable to western audiences from her role as Jade Fox in Crouching Tiger, Hidden Dragon, but in the 60s and 70s she was the "Queen of Swords", appearing in films like Come Drink With Me, The Lady Hermit, Golden Swallow, The Jade Raksha, The Shadow Whip and many more. Known for both her ferocity and grace of movement, Cheng Pei-pei is an icon of the wuxia genre whose fight scenes have been described by some as poetry with the sword. If you watch movies from his period her performances really stand-out. Brothers Five features a number of stars from Come Drink With Me (which I talked about HERE), including Yeuh Hua, Lee Wan-chung, and Cheng Pei-pei. Directed by Lo Wei (Fist of Fury and Snake & Crane Arts of Shaolin) and released in 1970 by Shaw Brothers Studio, Brothers Five has some rather lengthy swordplay sequences and a wide range of weapons including the iron hat and a massive sledge hammer. Unfortunately Brothers Five under-utilizes Chen Pei-pei, and therefore sees her more in a supporting role, but she still brings a lot to the movie. My understanding is during the 70s, the role of women in wuxia, who had normally played prominent parts in the genre, diminished as men were cast more often as the leads. Whether that had anything to do with this or not I do not know (though Cheng Pei-pei did briefly leave acting the following year for America, only to return a few years later to make more films). A story of five brothers separated at birth and re-united by Miss Yan* (Chen Pei-pei) to avenge the death of their father, the hero Gao Shi Yu of Flying Dragon Villa who was killed by Long Zheng Feng. Feng has replaced their father as head of the villa and turned it into a criminal enterprise, leading a gang of thugs who terrify the surrounding region. 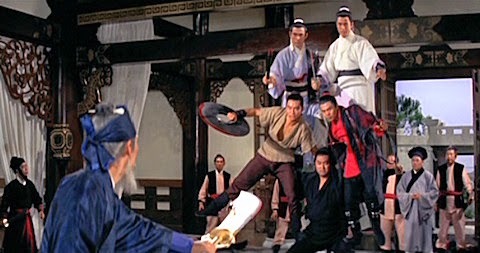 After Miss Yan finds the five brothers, and after several failed assaults by the brothers on the Villa, she trains them and shows them a manual with a technique called "Five Tigers with one Heart" that will enable them to fight as one and kill Long Zheng Feng. Each of the brothers Gao brings a distinct personality to the table. For example one is a black smith who wields sledge-hammer, one a gentlemen scholar who fights with a capped pen, another a dashing thief with a whip and bandolier of daggers and so on. They did a good job of making it easy to keep track of five brothers who seem to be roughly in the same age range. This movie does some interesting things. Notably the fight scenes are quite long, much longer than seems the norm in this kind of film. The choreography is good enough that this works fine. One element I liked is many of the shots are at a distance, giving you a view of the performers entire body with minimal shifts in perspective. This allows you to see all the movement and places more demands on the actors. In my opinion the swordplay in this is awesome. And it isn't strictly speaking just swordplay. There are guys throwing daggers, swinging hammers, stabbing with calligraphy pens and using a number of other martial weapons. One of the brothers wields an iron hat with a sharpened rim and that really balanced out some of the other weapons (and made for some nice motions). 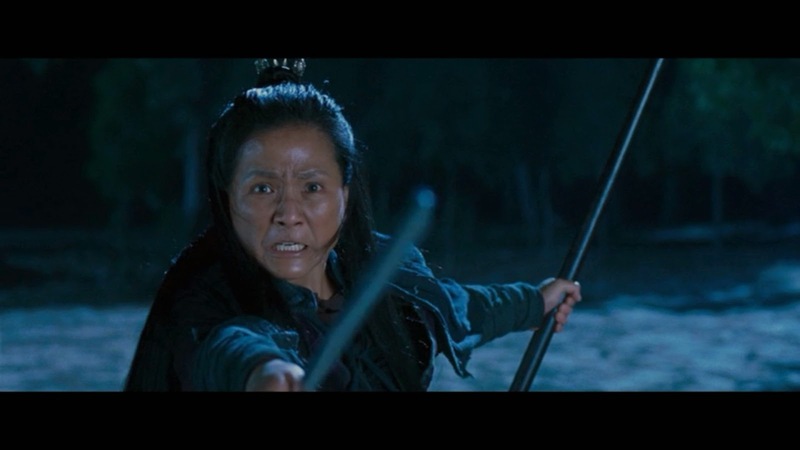 Cheng Pei-pei wields a sword but also uses a wooden version of the guandao (here) to simulate the villain Long Zheng Feng's techniques as she trains the brothers. I did like that the battles often feature large numbers of combatants. It had a real swash-buckle feel because of that. That said the movie isn't perfect. Some of the fights start to look pretty similar after a while. They're still good, it's just that they needed more variation. At times a few of the fights get a little silly and there are a few visible slip-ups too. The final technique, Five Tigers with One Heart, is both a blessing and a curse. If you have the forgiving eye of a kung-fu fan, it will probably work for you. However on its own, it does look a little ridiculous and it doesn't seem like it would really do much of anything the way they use it. Basically they form a wall by standing atop one another's shoulders, then in the final battle they spin around for some reason. I really liked the idea of five brothers fighting as one and the visual is charming in a way. It still is a bit tough to swallow though. In the end this is a solid movie. The final battle, cheer leader pyramid aside, is quite good. It is a Cheng Pei-pei movie, totally worth seeing, but some of her other films are much better (I would personally recommend Lady Hermit and Come Drink With Me before this one). Mainly it isn't as good because she is underused. *Note: The version I have is a blue ray version and part of the Shaw Brothers Sword Masters series issued in 2008. Some of the names in my copy appear different from other versions. I am going to use these spellings in this review.